IPL 2019 isn't far away and the tickets for the first few matches have mostly sold out, indicating that the entire nation is in anticipation of the 12th edition of the IPL. With the World Cup to follow, few countries have opted that their players return on or before May 1 to prepare training for the most prestigious cricket tournament. It has been 11 years since the first edition of the IPL got under way and T20 cricket has changed radically since then. While the field restrictions, rules and big name players garnered a lot of attention, it really was the innovations and the different types of shots and deliveries that made the league more popular. While innovators like Maxwell will not feature this season, there are many great innovative batsmen who will display their skills. The IPL brought into play a more entertaining brand of cricket and in this piece, we rank the top 5 innovative batsmen for this season and spinners bowlers who can keepa check on them. The article starts with the lesser recognized of the finishers and the newest mystery spinner in the league. Kedar Jadhav is a very good limited-overs batsman and possesses all the shots in the book. He also plays those innovative shots but not on a regular basis and mostly during the death overs when his finishing skills are required to come into play. But his innovation isn't in the league of few players like Maxwell, De Villiers or Eoin Morgan. 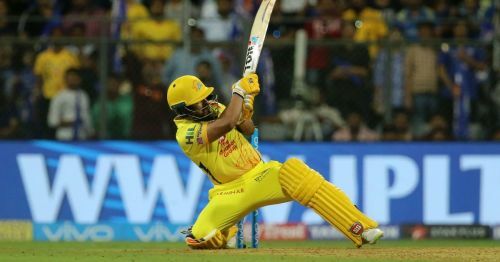 He prefers to play the scoop shot, the ramp shot and the shot over fine-leg like he did in CSK's opener against Mumbai last season. He is a very dependable batsman with an aggressive edge and teams must plan in advance to bowl to him. Varun Chakravarthy became the latest sensation in the IPL after he was bought by the Kings XI Punjab for INR 8.4 Crore ahead of this season. The mystery spinner arose to fame following his terrific performance for the Siechem Madurai Panthers in the TNPL. He later impressed on his debut season in the Vijay Hazare Trophy and garnered the reputation of being a genuine mystery spinner with many variations. Not much is known about him but he is a bowler who prefers to keep the batsman on a tight leash. He doesn't turn the ball to the extent to which players like Mujeeb do but when the ball does turn, the batsman is genuinely tricked by it and it will be intriguing to see these two take on each other. The first opportunity to witness this clash will be on April 6, when Kings XI Punjab visit Chennai for an evening game at 4:00 pm.